Next week is bound to be a biggie in the world of wearable tech as Google I/O takes place. We're expecting some interesting Android Wear announcements and there's a chance Android VR could go live as well. Garmin's newest GPS sports watch, the Forerunner 735XT went live this week. The 735XT is aimed at runners, swimmers and cyclists and, like the 920XT, offers in-depth run analytics. However, it adds the company's Elevate optical heart rate sensor which makes it debut on the XT range, and of course, you can add a chest strap via ANT+ if you wish. On the same day that Xiaomi spilled the beans that the Mi Band 2 has been delayed, Huawei's spin off company Honor decided to unveil its own budget fitness tracker. The Honor Band A1 ditches the screen for a more discreet and stylish 24/7 activity tracking experience and monitors steps, calories, distance and sleep. Actrek - too good to be true? 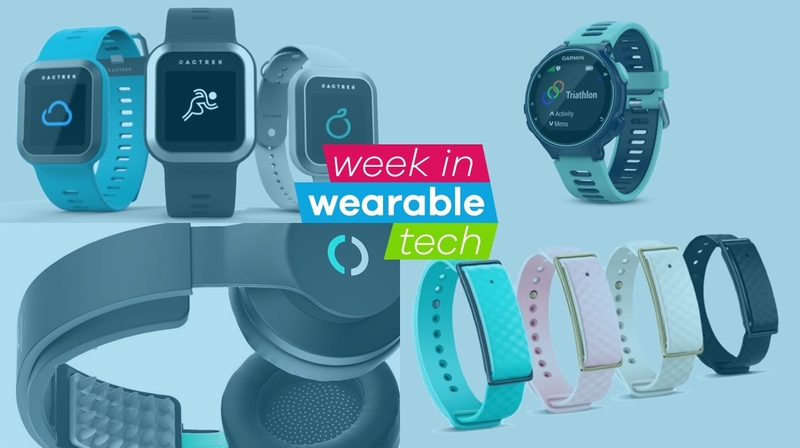 If Actrek can really deliver on what it promises with its feature packed fitness device, then Fitbit, Jawbone, Misfit and the rest of the gang should be worried. Apparently, it packs over 50 features that'll cover sports, sleep, nutrition, fitness and a whole lot more. Actrek's Indiegogo campaign is already up and running and it's managed to hit 50% of its $80,000 goal. TechCruch Disrupt took place this week and one of the most intersting reveals was Halo Sport. It uses a small level of electric current sent to the user's brain via two Primers (electrodes) that sit inside the headband of the headphones. The idea being the stimulation taps into a region of the brain that relates to sports and fitness. Halo Neuroscience calls it neuropriming; using pulses of energy to prime the signal the motor cortex part of the brain to see improvements in strength, explosiveness and dexterity. Nuheara's IQbuds are a pair of wireless earbuds that focus on altering your experience of hearing the world. Like Doppler Labs' Here Active Listening earbuds but without the music focus, you can now get a pair for $209 as all the early bird units have sold out.